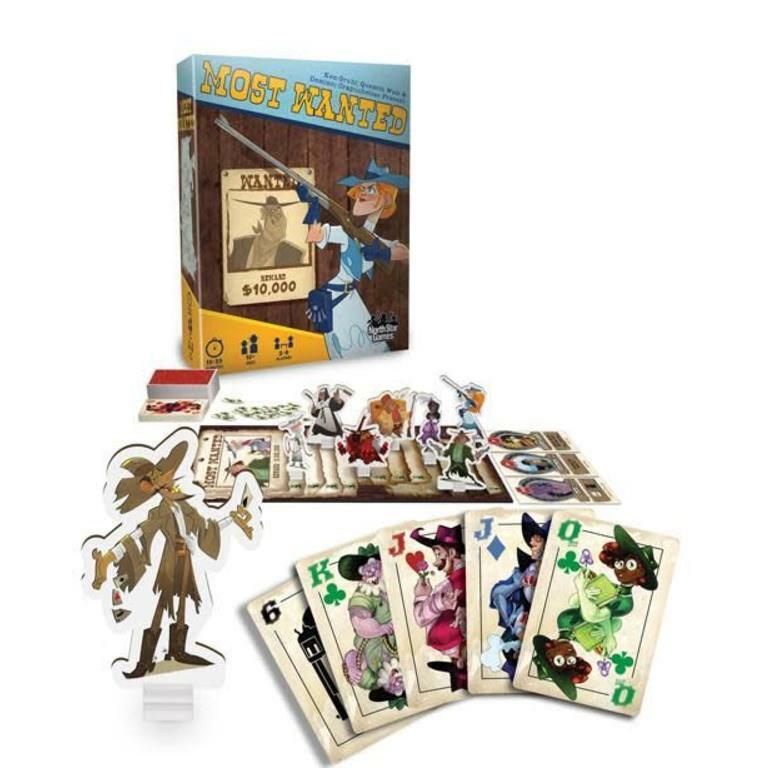 Be the most wanted at game night. 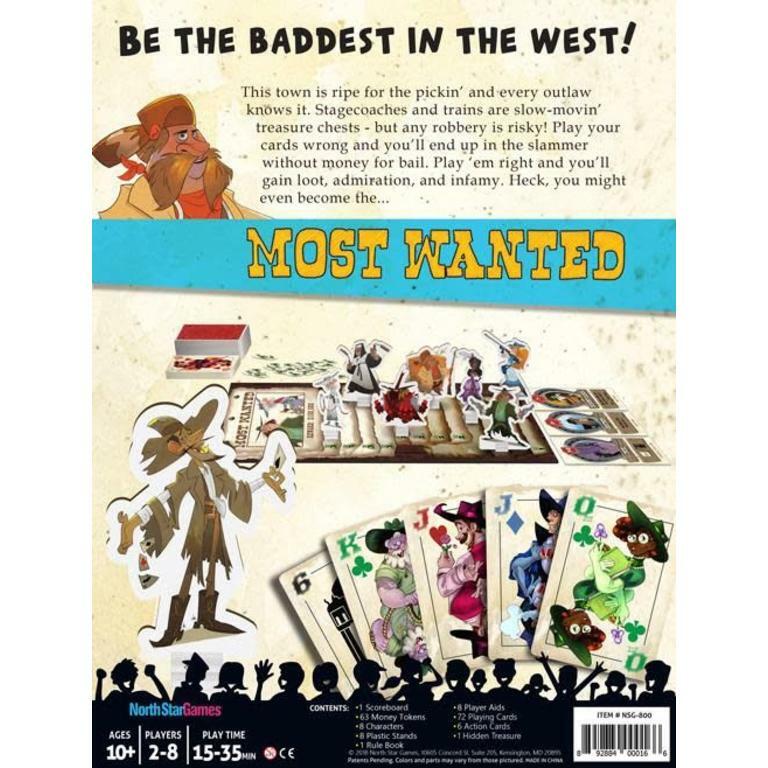 Most Wanted is a very simple western-themed game designed to rustle-up notorious friends and family around the table. All you need is a hankering to take risks, the guts to double-cross, and the desire to bluff a man out of his saddle. 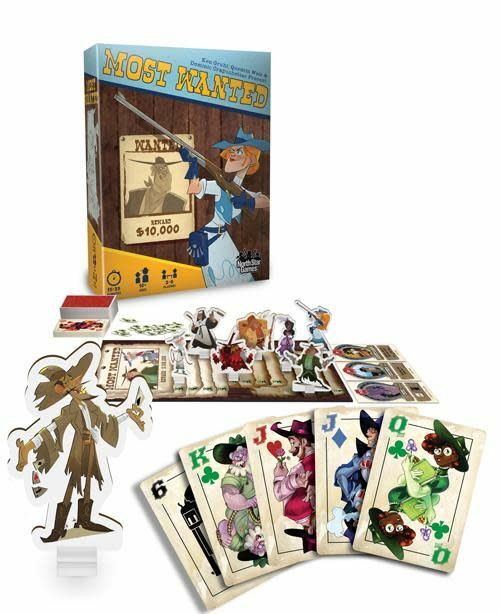 Most Wanted blends the strategic risk-taking of a wild-west poker game with the simple thrill of being a notorious outlaw. 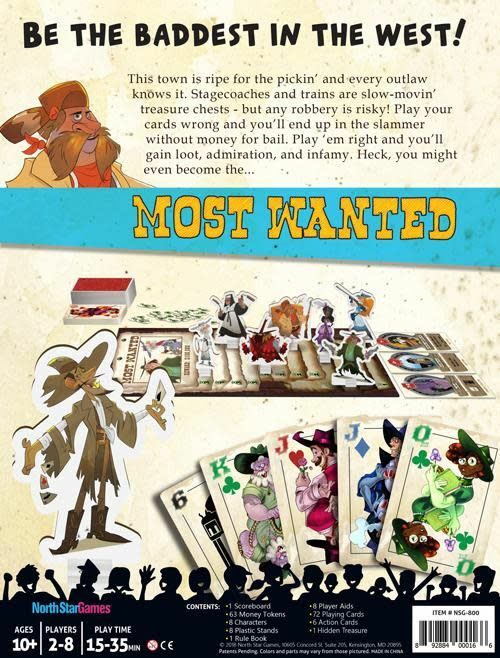 Playing the highest card - or bluffing with the worst - could mean the difference between a successful train robbery or spending time in the slammer. Players can repent at church to make a new start, or even work some honest labor (gasp!) for bail money. 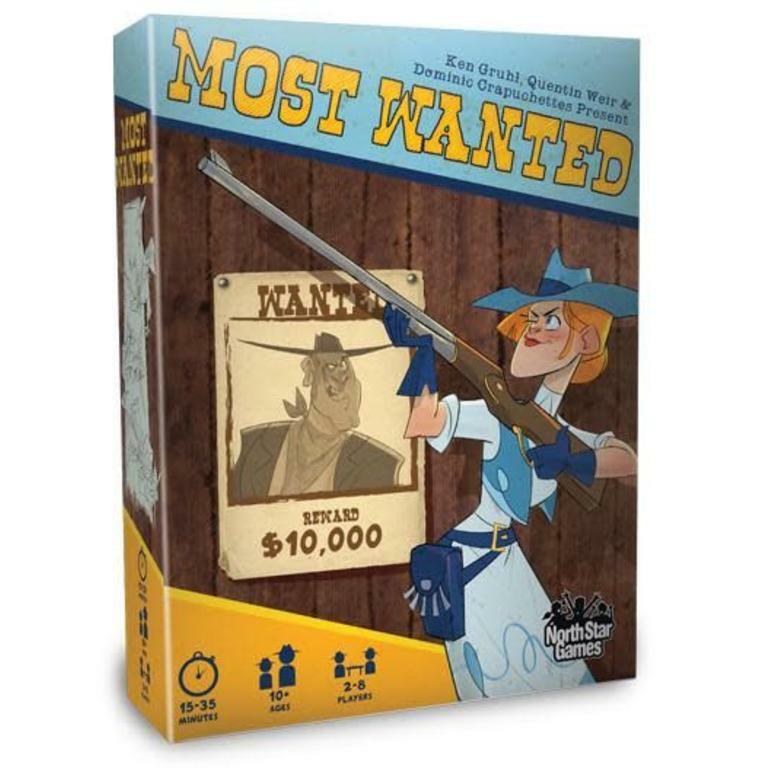 Be the first player to reach 13 points and claim the dubious honor of being MOST WANTED! 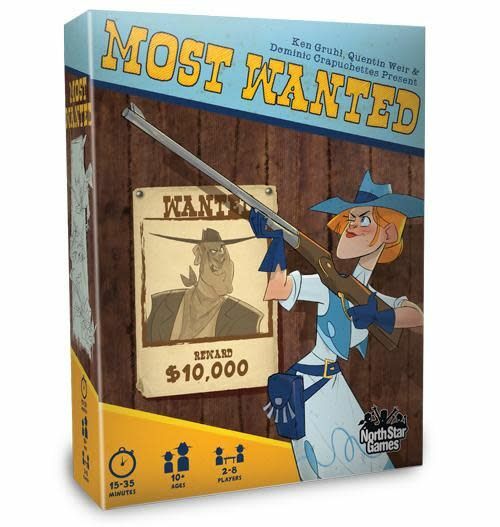 Most Wanted is great for large groups because it keeps everyone involved at all times (even when it’s not your turn). It takes 15 minutes to play with 2 players, and about 30 minutes with 8 players.